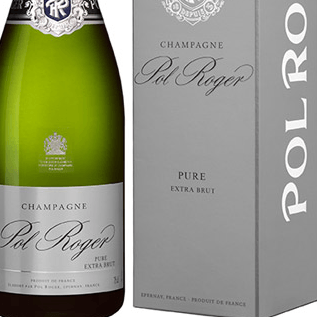 Pol Roger Pure Brut Champagne, The Pure Brut from Pol Roger is an exceptional cuvee that displays a full of open style of complexities and a long long taste. Pol Roger Pure Brut Champagne seeking to craft a wine in its most natural state without the addition of any sweetening dosage. The result is a champagne which is subtle, light and elegant, with a refreshing trace of minerality. Mid yellow in colour, it has a high toned and aromatically spiced nose, with some elements of crushed apple, revealing good fruit intensity and weight. It is stylish and bright on the palate, with good length and very pure acidity. Ideal as an accompaniment to shell fish.